Here’s what you need to know to get where you’re going by NYC public transit this Thanksgiving weekend. Special schedules apply for trains and buses from Wednesday, November 21, through Sunday, November 25 to get you over the river and through the woods to Grandma’s house and back Thanksgiving weekend. 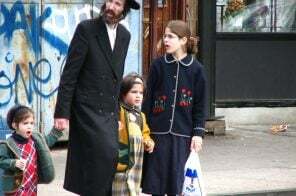 The good news is that MTA is suspending bridge and tunnel maintenance for the holiday, the Long Island Rail Road and Metro-North are providing extra service, off-peak fares apply, and there’s a free bus to La Guardia. Look below for more information. At a well-timed press event this morning, Governor Cuomo touted the state’s $100 billion building program, the largest in the nation, and said if elected for another term, he’d increase that commitment to $150 billion. Among the many airport redesigns and the subway emergency plan, perhaps no project is more dear to Cuomo’s heart than that of Penn Station. And after a tour of the Moynihan Train Hall, on budget and on track to open by the end of 2020, the Governor announced that the dire safety, security, and circulation situation at Penn Station cannot wait two more years. While construction wraps up at the LIRR and Amtrak’s future home, the state will build a new LIRR facility in the existing Penn Station. 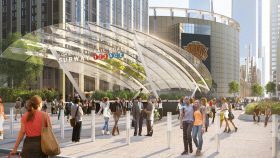 The proposal will double access to the trains with new entrances and an enlarged concourse and will create a permanent public plaza at 33rd Street and 7th Avenue. The Metropolitan Transportation Authority approved on Wednesday an amendment to its capital plan that allows for more than $400 million to be invested in the East Side Access, a project that began more than a decade ago. 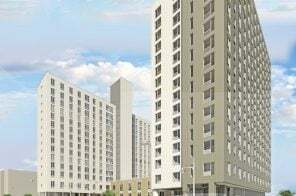 In addition to exceptional construction delays, the project’s price tag has jumped dramatically, from early estimates of roughly $2.2 billion to now over $11 billion (h/t NY Times). 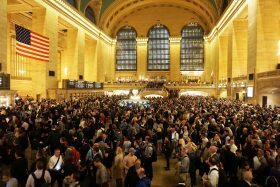 As a way to reduce crowds at Penn Station, East Side Access will connect the Long Island Rail Road to Grand Central Terminal. 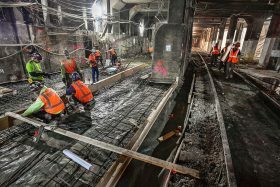 The emergency Penn Station repairs that began in July will be completed on time with regular operating service resuming on Sept. 5, Amtrak announced Thursday. After delays and a few train derailments, Amtrak closed 21 tracks at Penn earlier this summer. Nearly seven weeks of the eight scheduled weeks of repair work for this “summer of hell” have been completed thus far. 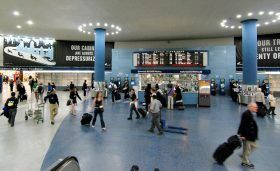 With the renovations at Penn Station just getting underway, the state released a plan on Wednesday to invest $5.6 billion in renovating 39 Long Island Rail Road stations. This includes the reconstruction of the system’s tracks, switches and signals. According to Governor Cuomo, the project, part of his encompassing $100 billion infrastructure plan, would increase rider capacity by more than 80 percent. 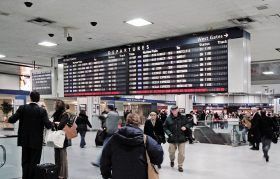 Eight weeks of infrastructure repairs at Penn Station officially began Monday, affecting commuters using the Long Island Rail Road, Amtrak and New Jersey Transit. Amtrak will close some of the station’s 21 tracks for renovations, which will force the MTA to cancel or divert 15-weekday trains between 6 a.m. and 10 a.m. Overall, there will be a 20 percent reduction in the number of trains to Manhattan from NJ and Long Island. To minimize the impact on riders, the MTA has offered discounted fares and transit alternatives like ferry and bus service (h/t NY Times). 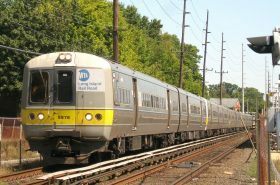 This week, Governor Cuomo called on the Metropolitan Transportation Authority to provide Long Island Rail Road riders a discounted fare for “enduring the inconvenience of a disrupted commute.” In response, the MTA said on Tuesday that the LIRR will offer fare discounts to commuters during Penn Station’s major repairs set to begin this July. 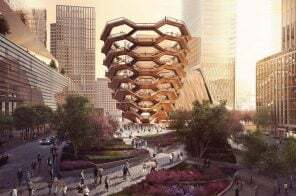 The discount will average roughly 25 percent for those traveling to Atlantic Terminal in Brooklyn and Hunters Point Avenue in Queens. Plus, according to Crain’s, commuters will receive free morning rush hour subway transfers from those two stations. Starting this week, discounted monthly tickets can be purchased at station vending machines. Image by Kev Harb via flickrWith six weeks of infrastructure repairs at Penn Station beginning in July, the “summer of hell” for commuters is quickly approaching. In response, the Metropolitan Transportation Authority has finally announced its plan to deal with Amtrak’s plan to close some of the station’s 21 tracks for renovations. 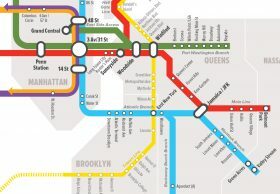 As Crain’s reported, the MTA will shift three nighttime trains to rush hour and add about 36 cars, while also offering transit alternatives like ferry and bus services. The shutdown will force the MTA to cancel or divert 15-weekday trains between 6 a.m. and 10 a.m., affecting nearly 9,600 LIRR morning commuters, set to begin July 10.